Want it by Wednesday 24th April? Order within 10 hours, 55 minutes and choose Royal Mail Tracked 24 Hour at checkout. Stylish and exciting Oui is a new brand to Nicholls Online, celebrating luxury knitwear, fun prints and attention to detail. We love this contrast colour sweater created using a blend of alpaca wool it is incredibly soft and gives any outfit a luxurious finish. 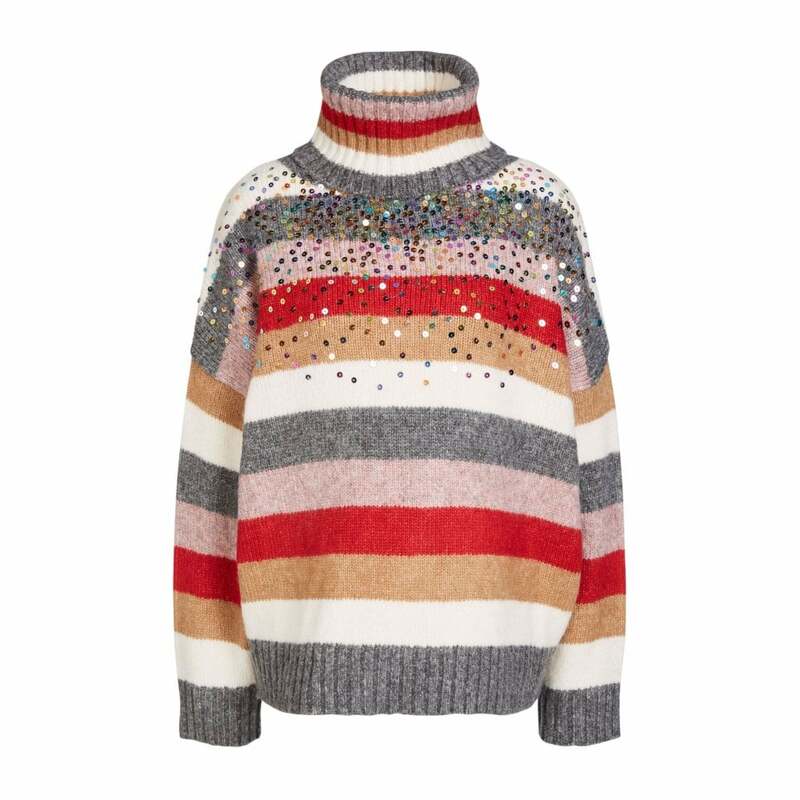 The shoulder sequins add a touch of fun to your winter wardrobe.